I am afraid I would be stuck. But I know that someone from the MyBHers will know. A bit of a giveaway really with the name of the first street on the left (Quebec Street) on the wall. It is off of Albion Hill. This is, I think, taken looking down Southover Street, with Finsbury Road to the right and Quebec Street to the left. Just a guess without checking but maybe the top of Church Street heading down towards Queens Road? Wow!! 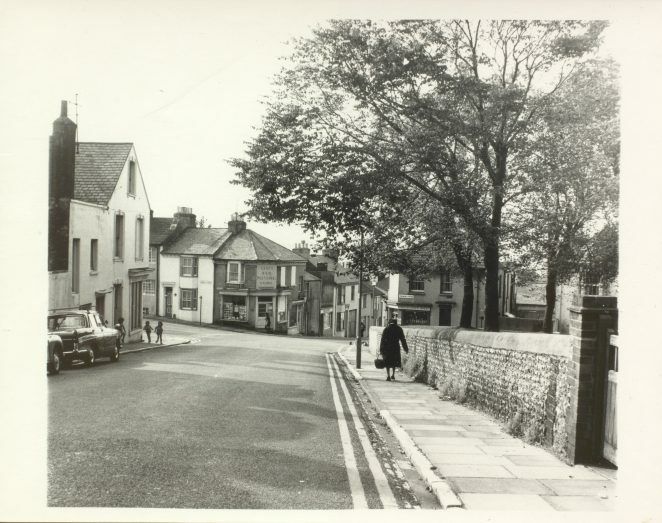 top of Southover Street, I lived close by in Scotland Street 1979 to 1986! Yes, it certainly is the top of Southover Street, looking down to Montreal Road and Quebec Street on the left, with Finsbury Road on the right. My mother went to the school in that road. It was converted some years ago into apartments called Hanover Lofts I believe. I maybe stand corrected, as Peter says Southover Street. The same view down Southover from approximately the same position except the Google Street View car uses a system of very wide angle matrixed lenses so proportions differ. Bert the barber shop on the corner of Quebec St (left) where I used to go for my SB&S, and on the corner of Finsbury Rd (right)was Chates, if memory serves me right.